Diagold is a designer jewellery brand born with the vision of one woman Mrs. Varda Goenka and her passion for creation. Our brand has become synonymous over the years with trendy designs quality products & exemplary service. Our jewellery mirrors our philosophies of minimalist beauty combined with decadent elegance. This unique contrary design philosophy is our imprint on the world of designer jewellery. Each piece is crafted with soul & passion so much that they become a window to the soul. They undergo the 4c’s test-cut clarity, carat & colour. Our stones are cut with precision to perfection to create stunning master pieces. The gold is hallmarked & the diamonds internationally certified to maintain stringent quality standards. Diagold symbolizes the amalgam of artistic sensibilities, superb craftsmanship and affordability. A great Poet once said, “A thing of beauty is a joy forever”. 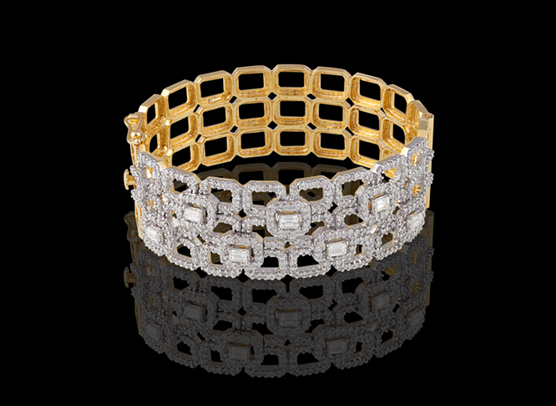 At Diagold we capture eternal beauty in our jewellery. Custom made master pieces in innovative and unique designs is our signature. Diagold was launched in the city of joy in January, 200o and from such humble beginnings, we have moved to a network of showrooms covering Kolkata, Mumbai, Delhi, and a recent retail store in London. We have been participating in various international exhibitions in Dubai, Bahrain, Abu Dhabi, Saudi Arabia, Bangkok, London etc. We are regularly exhibiting in Delhi, Hyderabad, Bangalore, Guwahati, Mumbai and various other cities across India. 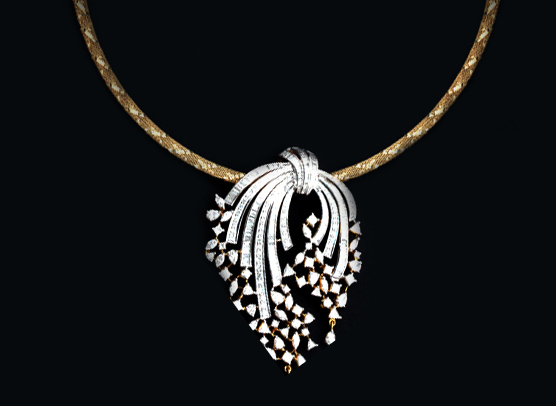 Our objective at Diagold is to establish jewellery as the style statement for the every woman. The collections at Diagold are very latest in designs. Immense efforts, extensive market research & a team of expertly trained professionals have enabled Diagold to achieve its expansion goals, it will continue to raise its bar and also strive for greater achievements in future.